Can’t make it to one of four locations today? 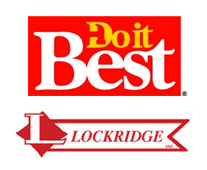 Then order on-line from Do It Best! Once you order, just specify which location you would like the product to be shipped to, Chariton, Promise City, Centerville or Unionville. Click here for the convience of shopping at home. © 2019 Lockridge Inc. All Rights Reserved.